At Opera, we are always pushing the limits of what the browser can do. For the past few months, we have focused on redesigning our browser’s user interface to offer you a quick, easy journey to access what’s happening in the world. 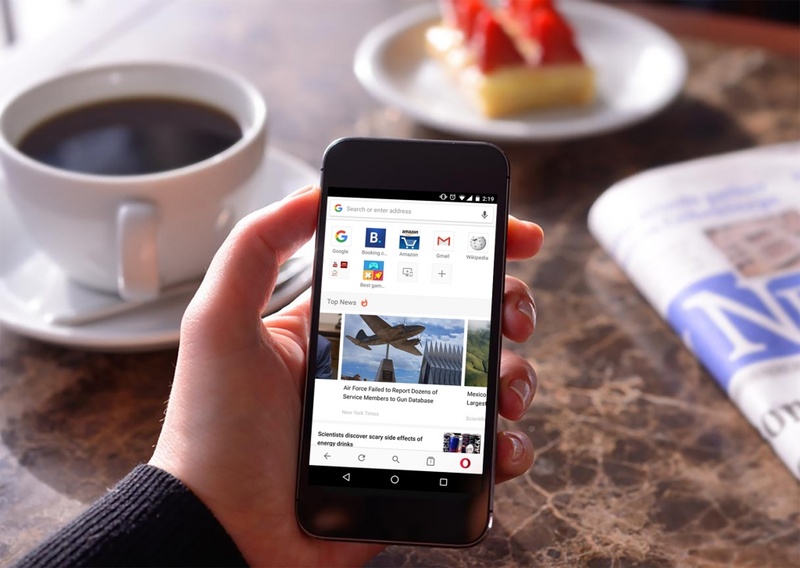 Today, we are rolling out a brand new version of Opera for Android to beat your fear of missing out when on the go. 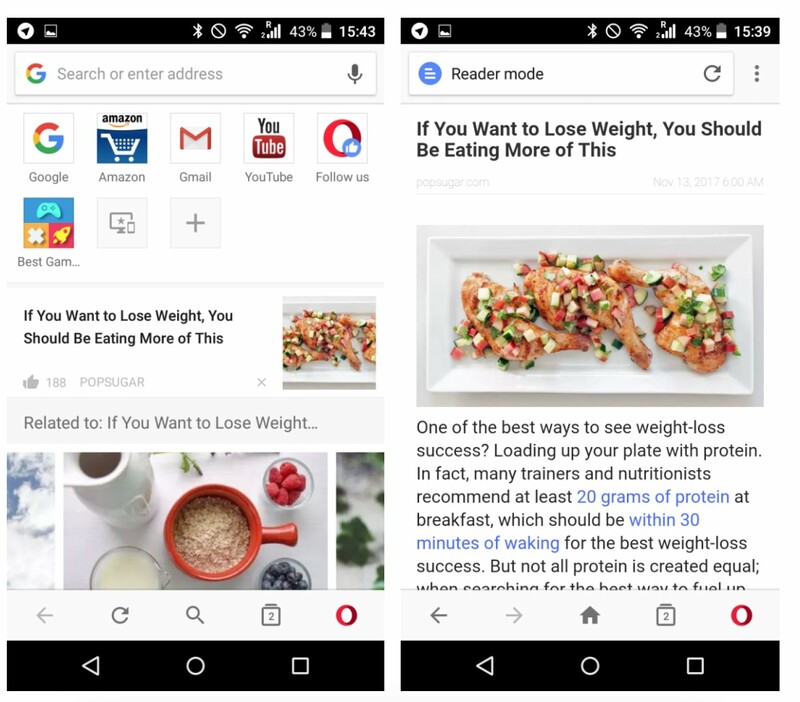 The new Opera for Android starts you off on the news feed with what is interesting and popular on the web . The “For You” section is found below your Speed Dial, and is delivered by our AI-powered news feed engine. The more you use this feature, the more relevant news you will receive. For a faster news reading experience, you can choose to turn on reader mode on the upper-left side of the address/search bar. This feature will help you access news stories up to three times faster. We have designed this version to put our users first in mind. This means you can easily configure which news categories you’d like to see simply by pressing the + sign to the right of the categories after scrolling down on the home page. If you want to turn off the news section, that can be done as well! 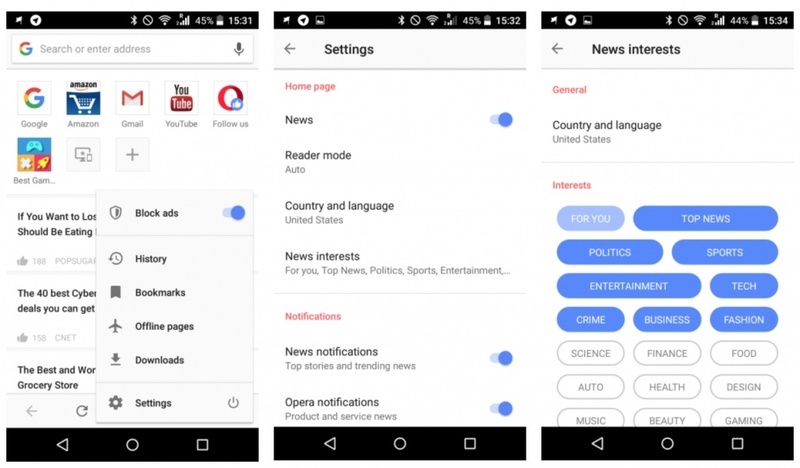 In settings, you will find more options to customize your news reading experience under the “Home page” section. A browser UI is not only about features and technical specifications but also the tiny details that can elevate your web experience. 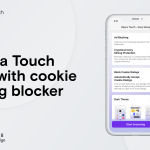 In this version, you will see an improved address bar, a new tab gallery and a new O Menu where you can easily customize and activate the features you like, such as ad blocking. It’s just the beginning. We are planning to bring more changes in the near future. We look forward to your feedback. Let us know what you think in the comments below. Happy browsing, and stay tuned for our next update! 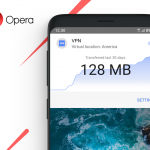 Download Opera browser for Android.